I first saw this product a few years ago and have wanted one ever since. We all have the need for electricity during an outage. What we need to realize though is that this “need” can be truly quite minimal, but only if we are otherwise prepared. In an emergency, what do I really need to power? Yes, the refrigerator, freezer and furnace are the most critical but in a long term scenario you'll have to count on more than just a gas generator to keep them running. The ability to obtain fuel, whether natural gas, propane, unleaded or diesel for a long term need during an emergency, may not be feasible for most of us. Learn and prepare to do without. What IS truly critical in a long term electrical outage are the small things. By small I mean low power consumption devices such as communications, lighting, rechargeable batteries, tablets, and other small devices. These types of conveniences can make survival more comfortable if not only possible. Just as with any preps duplicity and redundancy is really very super important. In an outage how will you provide power for your minimal needs? Yes, I have a gas generator. Yes, I have a few solar panels and inverters. Yes, I have hand crank flashlights and radios and now I have a K-Tor Pocket Socket that makes 120V power. The Pocket Socket turns your own energy into electrical energy. Having many different ways to power your most critical electronics is the key to being resilient. Not only will the Pocket Socket come in handy during an emergency it is small enough to carry with you where ever you may need it, emergency or not. 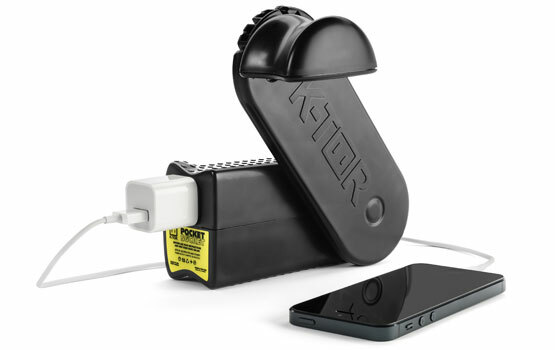 The Pocket Socket is operated by cranking the handle at a rate of two cranks per second to achieve 120V. 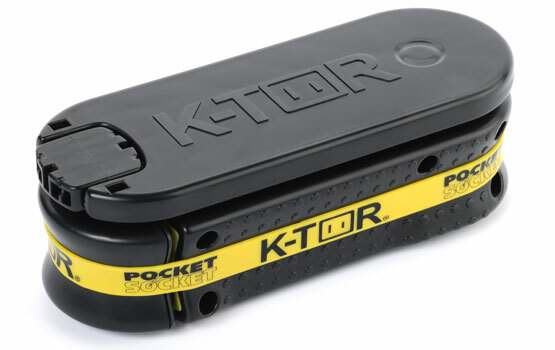 This Pocket Socket is ideal for running and charging smart phones, tablets, radios and even recharging batteries. However, you do need to keep in mind that the time that it usually takes to charge your device when it is plugged in to grid power will be the time you’ll have to put into the Pocket Socket. For example, my Samsung Note 3 smart phone takes approximately 1 minute to increase the charge on my phone by 1%. This means that it would take approximately 50 minutes of hand cranking to charge my phone from a 50% charge to 100%. No, I did not crank the Pocket Socket for 50 minutes to verify that this is completely accurate. But I did spend several minutes cranking with each of my various devices plugged into the Pocket Socket. Let me be clear, solar power is and will stay my go-to long term power source. But, when the sun isn’t shining or my battery bank is depleted I’ve found my new power source. Although it’s not difficult it does become tedious to crank the Pocket Socket for long periods of time. Trading off with others with this task will make the work load light. Now, think, if you are in a true emergency, your phone is dead and have nowhere else to charge it. The Pocket Socket will quickly and reliably provide you with the means to give your phone enough charge to make the calls you need to. In my opinion, this scenario alone makes the Pocket Socket worth its weight in gold! If you want to charge your tablet just so you can play some games, you might not want to spend an hour or more cranking. However, the Pocket Socket makes it possible when and where it otherwise would not be.